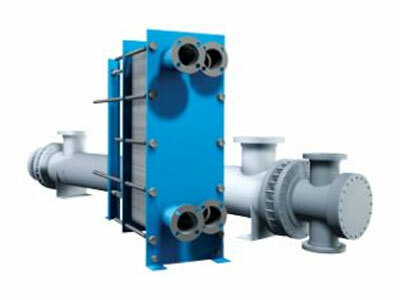 The Tranter Plate Heat Exchanger provides outstanding efficiency transferring heat from one liquid to another or from steam to liquid. This modular exchanger combines frames, plates and connections to form a variety of configurations. By using different types of plates, with different characteristics, the exchangers can be adapted to a wide variety of applications. The exchangers can easily be disassembled for inspection, maintenance or even expansion by adding plates.